The color of one of my new rose bushes is called “Peace”. It’s soft white with a light pink edge – just stunning. Pictures to come. When I made up the marker, I couldn’t help by make a peace sign on the rock. We all need a little more peace in our day, lives and world. What better way to channel that peace than with a beautiful, fragrant rose. 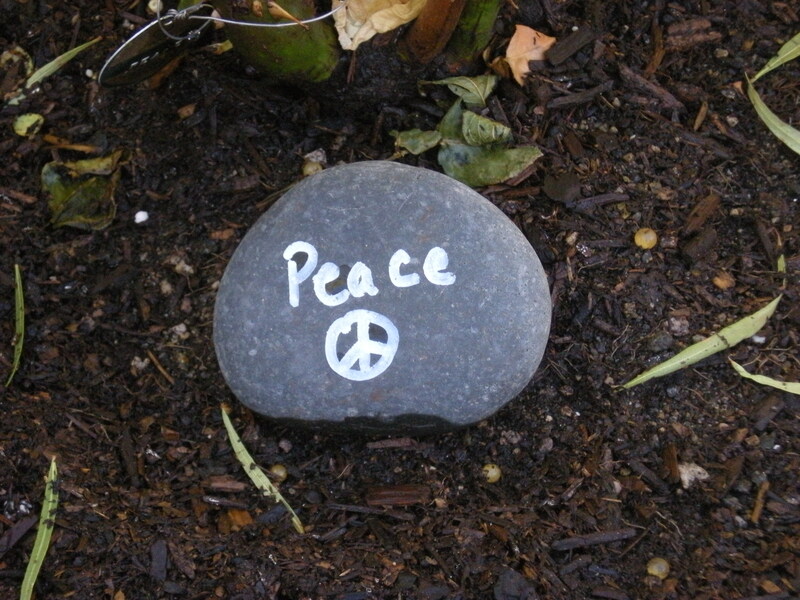 And a simple little marker to remind us to sow the peace we want to see in the world.